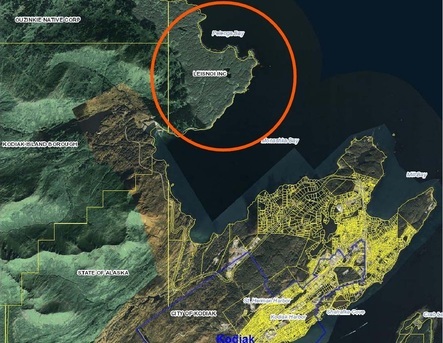 On Dec 1, 2016 the Kodiak Island Borough voted 4-2 to hold a conservation easement on Leisnoi lands just to the north of Kodiak, an area commonly referred to as Termination Point. That same night they agreed to hold a similar easement restricting development on most of Long Island. This was a major victory for recreational access in Kodiak. During the nearly two-year process of negotiations and due diligence, Island Trails Network educated the public about the proposed easements through newsletters, events and social media. We were pleased to see the easements advance, as they guarantees free and permanent public access to over 1,000 acres of forested lands high recreational importance. There are three parties to each transaction. The Exxon Valdez Oil Spill Trustee Council is purchasing the easements, using settlement funds left over from the 1989 Exxon Valdez Oil Spill. Leisnoi Native Corporation is the landowner of both parcels, and will receive these funds in return for agreeing to permanent restrictions on logging and development, and agreeing to allow permanent public access to the lands for passive recreation. The Kodiak Island Borough's role is to hold the easements in perpetuity. The transactions are expected to be complete in early 2017. Myth: The conservation easement will be purchased with taxpayer dollars. Fact: All funds used to purchase the easement derived from a settlement with Exxon Inc. following the 1989 oil spill disaster. The settlement funds were to be used for the protection and restoration of habitats affected by the spill. 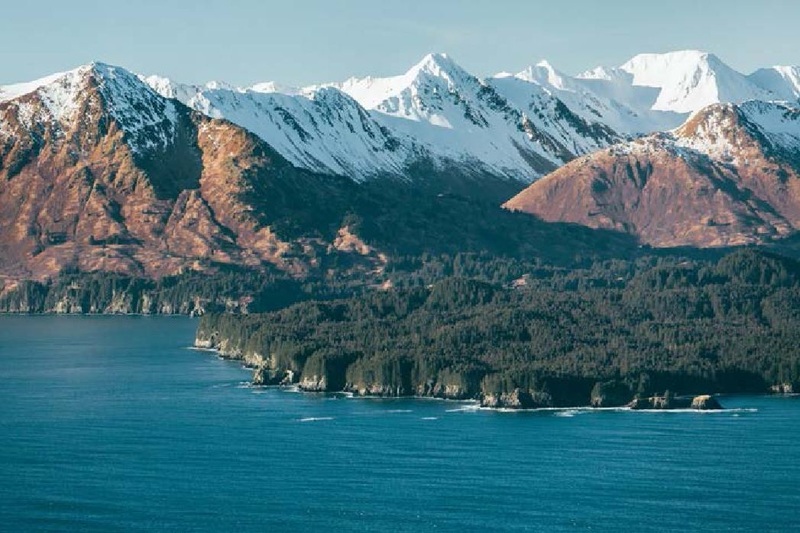 Myth: Holding the easement will be cause a financial burden to the Kodiak Island Borough. Fact: In an Aug 25, 2016 borough assembly work session, representatives from EVOS clarified the borough's responsibilities. No land improvements or signage is required to be completed and no reports are required. The borough's existing insurance policies allow them to hold the conservation easement and indemnify them from additional risk. There is virtually no cost to the borough, either in cash or staff resources. Fact: Myth: Termination Point is strategically important for residential development. Fact: Termination Point is not zoned for, nor is it suitable for high density housing in Kodiak. The land is 11 road miles from the city center, and 4-6 miles from the nearest utilities (treated water, sewer). It is zoned "C" for Conservation, which allows a landowner to engage in number of uses including passive recreation, pedestrian trail systems, hunting and fishing, agriculture, and timber harvesting activities. Conservation lands also permit a landowner to develop single-family dwellings, but on minimum five-acre parcels. See zoning ordinance. Myth: There is no evidence of popular support for public access to Termination Point. Fact: Termination Point was cited as the single most important land for obtaining public access rights by the 2011 Kodiak Area Master Trails plan, based on numerous public meetings and many hours of public testimony. Social media indicates that public sentiment on this issue has not changed. Fact: There would be no restrictions on Koniag's mineral rights. EVOS has monitored mineral development throughout the state and believes the likelihood of mineral development on this parcel so unlikely that they are willing to proceed with the transaction anyway. For their part, Koniag has written a letter of support for the conservation easement. Myth: Ouzinkie Native Corporation owns lands which would be stranded from future road access by this easement, and was not consulted during the easement negotiations. Fact: Ouzinkie Native Corporation was consulted, and has provided a letter of support for the conservation easement. Incidentally, ONC is party to conservation easements with EVOS on Afognak Island. Myth: By blocking or voting down the resolution, the Borough may choose to develop this land for housing at a later date. Fact: Termination Point and surrounding lands are owned by Leisnoi Inc. So far, Leisnoi Inc. has not indicated any intention to move toward residential development. Myth: By refusing to hold the easement or delaying a decision on the issue, the Borough buys time for further public discussion. Fact: The terms of the conservation easement are based on a recent timber appraisal of the lands which has a relatively short shelf-life. More importantly, the EVOS trustees meet to approve transactions only once, in mid-November. As EVOS trustees are prohibited from paying more than a fair market value for conservation easements or acting on an outdated valuation of the land, any delay in would require additional action by the EVOS trustees and a new appraisal for negotiations to continue, which would be a setback of several years. In the meantime, the landowner could resort to other means, such as logging, to generate revenue from the land. Myth: Access to this land is not threatened; it is already in a sense "public". Fact: Termination Point is privately owned land, currently accessible only by purchasing an annual land use permit. If logging operations begin on the lands, these land use permits may be discontinued and all access to the lands blocked, as hikers in proximity to logging operations present a hazard and liability concern. Myth: Logging of Termination Point would be preceded by a public process. Fact: Lands zoned "C" Conservation specifically allow "Timber harvesting activities and transportation and utility facilities constructed in support of permitted timber harvesting activities". There is no requirement for a public process. Myth: The duration of the easement is negotiable. Fact: EVOS policy is that conservation easements using EVOS funds must be permanent, and can never be overturned except in the rare cases of eminent domain. If the authority of eminent domain is exercised, whoever exercise that authority would have to mitigate for the lost habitat and conservation value. Spring 2014—Great Land Trust (GLT) completed initial habitat prioritization on behalf of EVOS Trustee Council for entire spill area from Prince William Sound to AK Peninsula. Summer 2014—GLT initiated outreach to key landowners with high priority parcels. Late Fall 2014—GLT contracts two appraisals on Termination Point and Long Island after many discussions with Leisnoi, Inc. indicating interest in conserving parcels and AK State Parks’ interest in accepting properties. Winter 2014—Appraisals contracted (timber cruise and valuation); conceptual agreement on projects reached with Leisnoi Inc., EVOS Trustee Council, and AK State Parks. Spring/Summer 2015—AK State Parks declines to accept projects; outreach begins with Kodiak Island Borough. Proposed project now consists of a conservation easement being held by KIB over lands owned by Leisnoi, Inc. at Long Island and Termination Point. Both parcels will be open to the public, except for a small portion of Long Island. November 2015—EVOS Trustee Council voted to consider funding of both projects. triggering final appraisals and due diligence. January - June 2016—Due diligence completed for both Termination Point and Long Island including title review and hazardous materials assessment. Summer 2016—Conservation Easements between Leisnoi and EVOSTC completed. Final appraisal conducted. Leisnoi, Inc. Board and KIB vote to consider EVOS Trustee Council purchase and sale agreements for the Termination Point easement. Dec 1, 2016—KIB Assembly voted transfer of conservation easements and management responsibilities of Termination Point to KIB. Winter/Spring 2017—Transactions will be completed, public access to Long Island and Termination Point begins.